India topped off a perfect tournament for them in style after pulling off an easy win in the Kabaddi Masters final. The two best sides in the world went head to head in Dubai in the last match of the tournament with three-time world champions India holding their own to come out as victors. It was a one-sided match that saw India sail through 44-26 with Ajay Thakur and Monu Goyat leading the show with nine and six raid points respectively. The six-nation invitational tournament organised by theInternational Kabaddi Federation in association with Star Sports and the Dubai Sports Council was rightfully won by India. Having dominated the tournament from game one, there was no side more deserving than the Asian giants. And India ensured there were no slip-ups on the big night as well with both defence and attack playing out in perfect synchronization to ensure that India not only emerged as victors but as comfortable victors with an 18 point margin. Coming back to Highlights Kabaddi Masters final, for India it was their captain Ajay Thakur who once again led from the front. Falling just short of a perfect 10, he finished the match with nine raid points and was superbly aided by Monu Goyat who bagged home 6 raid points for himself. The duo along with defender Surjeet Singh who returned with seven successful tackles were the architects of the Indian win. 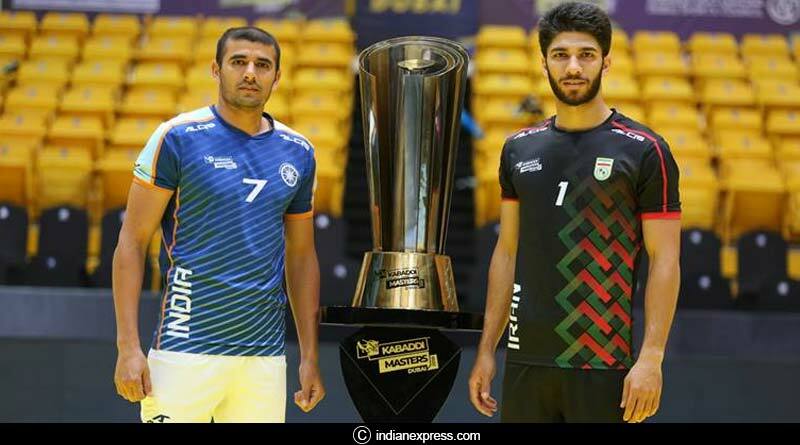 The match was marred with controversy as well with Iran staging a mid-match protest for what they felt was foul play by the Indians. This lead to a 10 minutes delay with the protests eventually being waved off by the officials who deemed the Indians to be playing within the rules of the game. The disruption however broke India’s concentration as they slipped from a 15-5 lead to 18-11 at the break. They were quick to re-group and came back stronger after the break to clean the floor and take home the beautiful trophy. Do comment if you like the article on Highlights Kabaddi Masters Final 2018.